Coming to know that True Love is Within is one of the hardest and most rewarding journeys that you can take. It is an inner exploration of uncovering that which is false, and learning to let it go. As your old stories, grievances, and judgments fall away, your glorious self is revealed. This is the case for us all - what you really are is so far beyond words it is indescribable. You are pure Love, pure Light, pure Joy! This podcast is a journey to uncovering this beautiful truth within you and in everyone it touches. Barret will interview other intuitives to share about their journeys. 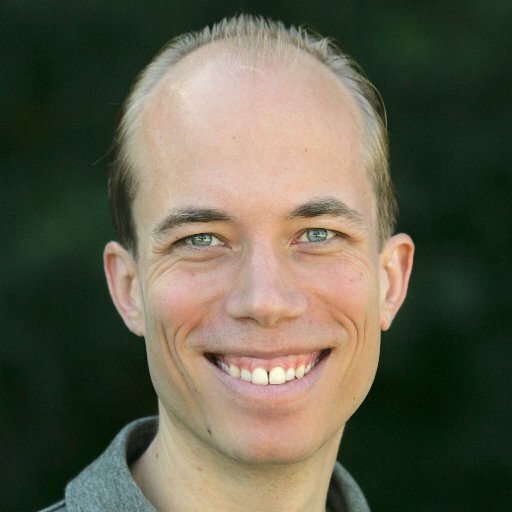 He will also be leading a series of healing sessions that will be the basis of much of the podcast. As Barret works with his client Trish to guide her through her fears and uncertainties, you will be experiencing healing as well. Much of what Trish expresses and heals in these sessions reflect issues in the listener’s life as well, leading to healing shifts for more than just her! Let your healing unfold as you listen to this healing adventure! Undoing Unconscious Blocks to Living Life in a State of Flow! As we get in touch with all of who we are, we start to let go what is false so that what is real can come forward and be seen! In this healing session with Trish, Barret begins by naming the fear that is connected to her romance life. Her readiness for love is somewhat at odds with her inner desire to stay safe. The recent connection for her may just have run its course. Listen in as Barret helps Trish move through more fears around opening up her life to new love, creating a bigger space for new, upcoming connections! Old karmic patterns come up for healing, including issues connected to her childhood and limiting beliefs. The healing work is smoothing out the entry energy into her next upcoming relationship! Other topics touched on include melting frozen energies around next steps in her career, and releasing fears around world events. In every circumstance in our lives, we can find a way to experience love as we go through it! In this healing session, Barret explores a few topics with Trish, from intuition to romance to undoing the idea of being a victim! Becoming intuitive is very connected to being attentive - practice paying attention to strengthen your intuition! We explore the concept of how the outer pattern of hearing issues, especially Trish’s experience of tinnitus, often reflects some conscious or unconscious part within that simply doesn’t want to hear. What is it that Trish has been unclear or uncertain about hearing in her life, around romance and divine connection in general? How many of us have had issues with heartbreak and a fear of going through that again? Barret guides Trish through a particularly painful experience of past-life infidelity, to help heal the subconscious pain and shame that has carried forward to the current timeframe. A substantial release around the very concept of victimhood unfolds. Allow yourself to feel this shift for yourself as you listen to this podcast episode! In this healing session with Trish, energy healer Barret Hedeen guides Trish through breaking free of the layers of energy that bind her around her career and job search. How will she shift out of her resistance to stepping into something new? See how the dynamic of unconsciously pushing away the good in her life mirrors the fear of embracing the all-encompassing Good of God or the Divine. Barret helps her to uncover a past-life where her passion in that lifetime was undermined by people in positions of power. By seeing this issue, her subconscious pain and resistance to fully claiming her passion comes up and is helped to release. Join with us as Trish connects to the spark of joy within! As this healing session with Barret begins, Barret and Trish recap the 3rd Chakra energy cultivation meditation from our last podcast, and how to keep using it as we go forward. New romantic sparks arrive for Trish with new possibilities going along with the opening of her heart. Exploration around the career path continues! Barret supports Trish in going for new jobs that are paid opportunities and releasing an idea that she should settle for volunteer options. As the energy around this is explored, they step into a past-Life clearing of old pains and being afraid to dream big and be hopeful. An incarnation where Trish was an orphan boy and afraid of really hoping to have a family surfaces and is supported in shifting. Join the adventure and heal while you listen! 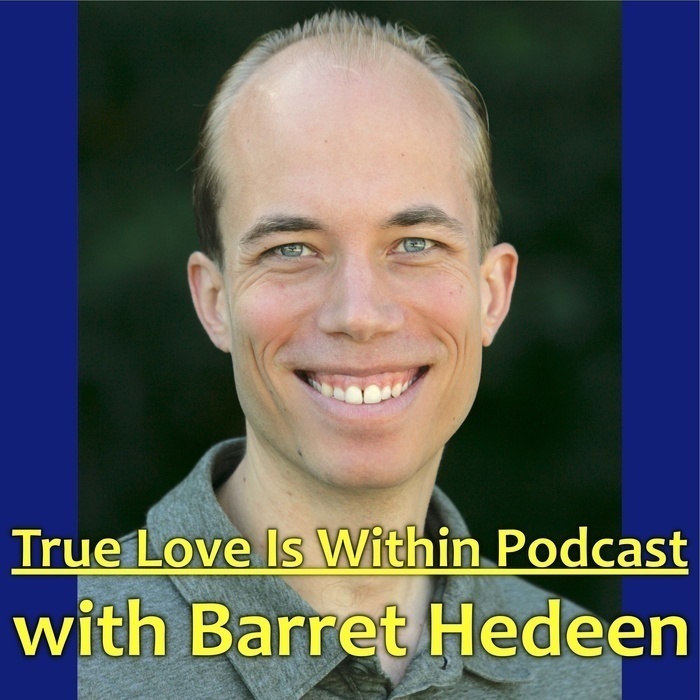 On Episode 3 of the True Love is Within Podcast, join energy healer Barret Hedeen as he facilitates a The Witness Energy Healing session. Working with his client Trish in an ongoing series, he helps her to identify and shift conscious and unconscious blocks to living her most open-hearted life! Barret guides her through a body scan meditation focusing on the Heart Chakra and the lower chakras as well - the Root Chakra, the Sacral Chakra and the Solar Plexus Chakra. They then spend time focusing in on healing the Solar Plexus, and Barret shares a Qi Gong visualization practice to help generate personal energy, and get aligned with acting on the visions for Trish's (and your!) life. Other topics explored include releasing interpersonal challenges in Trish's life, and celebrating energetic strengths! Enjoy the show, and listen with an ear to how her healing journey may be similar to yours! Visit www.BarretHedeen.com to find out more about Barret's workshops and to sign up for a free 15-minute The Witness Energy Healing session! Happy New Year to you all! Have you ever wondered what it is like to have an energy healing session? In this episode, listen in while Barret Hedeen conducts an energy healing session with one of his clients, Trish. Find out what really goes on in one of his The Witness Energy Healing sessions. Listen to this fascinating energy clearing session as Barret walks with Trish to uncover the inner meaning of a dream she had in which she was getting ready to take a trip driving across the country, picked up some hitchhikers, and needed a map of the whole United States. In her dream she realizes she only can find maps of separate states and doesn’t have a complete map to begin her trip. Tune in and listen to how Barret walks Trish through the dream and the healing that came from deeply tuning into the energy behind the dream. Join Barret Hedeen as he interviews intuitive healer Laurra Warnke, author of the Intuitive Journal blog, about how she stepped into being a healer and psychic, and the steps she had to take to start living her true purpose!